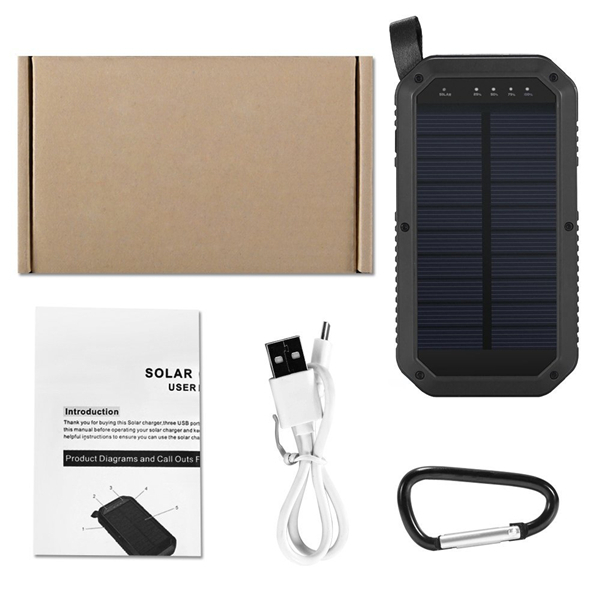 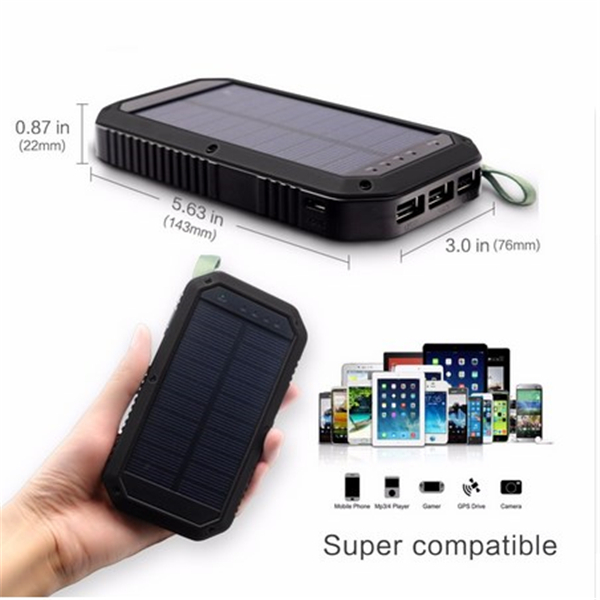 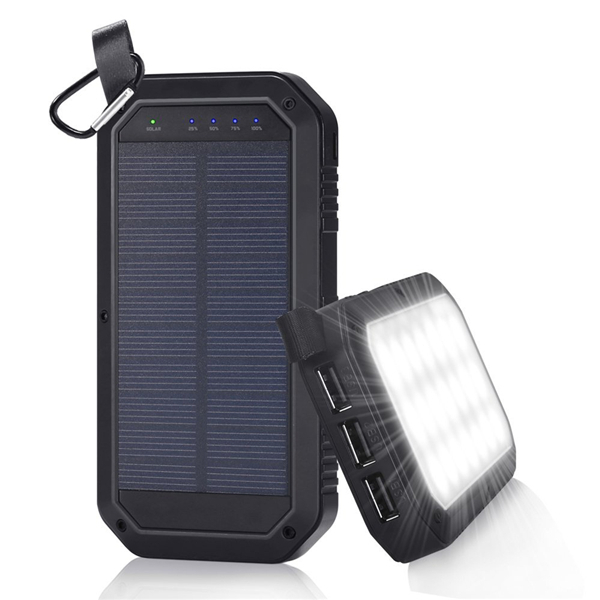 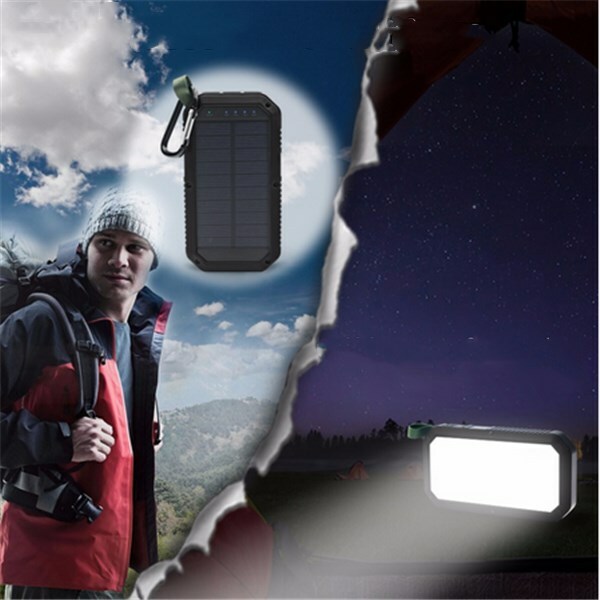 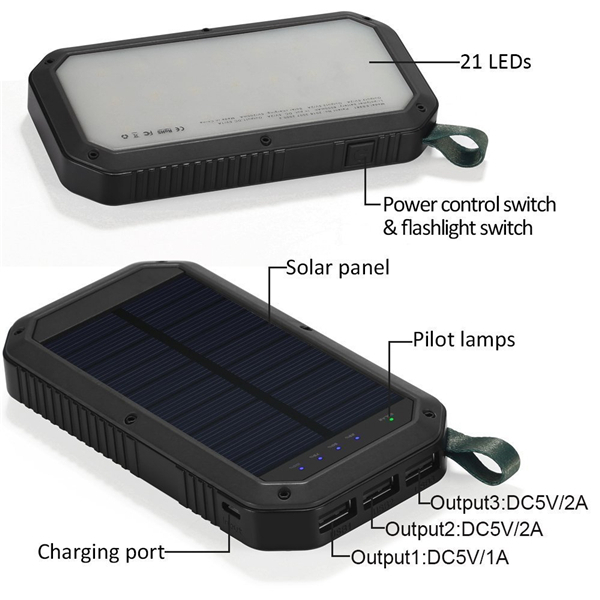 *Solar emergency charger:when you go outside or have power cuts, you also can charge your mobile phone with solar energy. 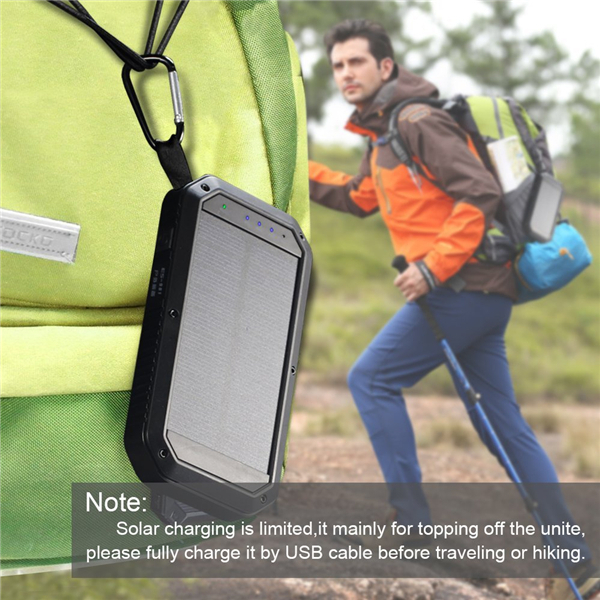 *Three USB ports can charge three devices simultaneously. 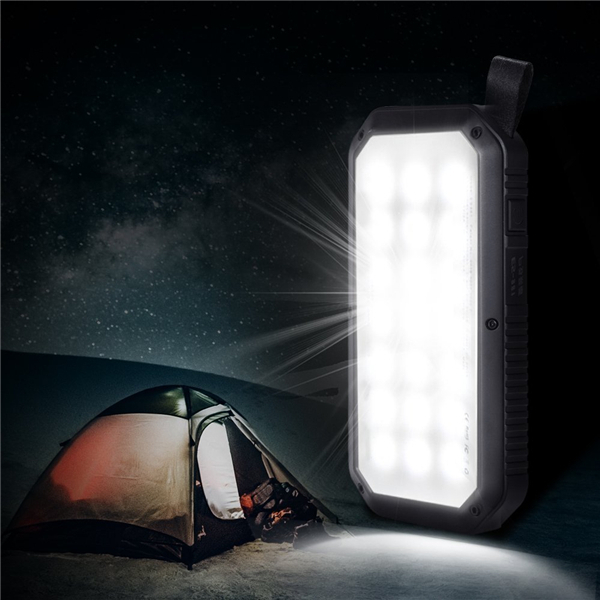 *21 pcs LED lights at back side for camping and emergency. 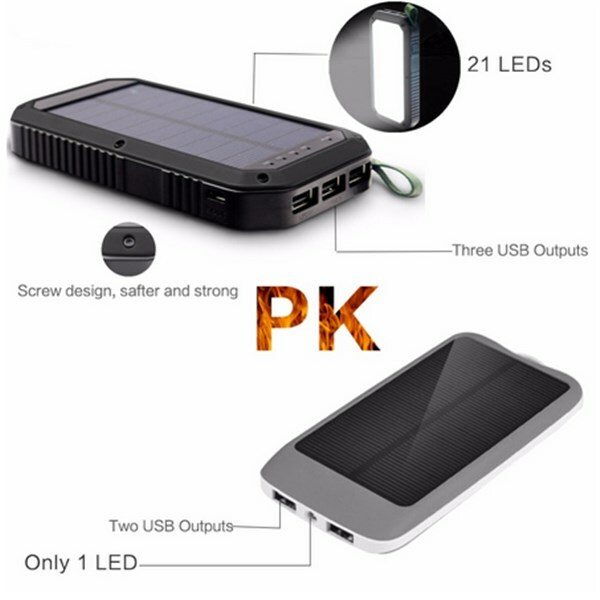 *Built-in 4 LED indicators to show the power level.